Gift of © The Andy Warhol Foundation for the Visual Arts, Inc. They were good friends. As what O’riley remembered, the man who introduced he to Andy Warhol was Stuart Pivar. Pivar went to a lot of auctions together with Warhol and they co-founded the New York Academy of Art. One of O’riley’s friends took him to Pivar’s house- and that was how he met Andy Warhol. 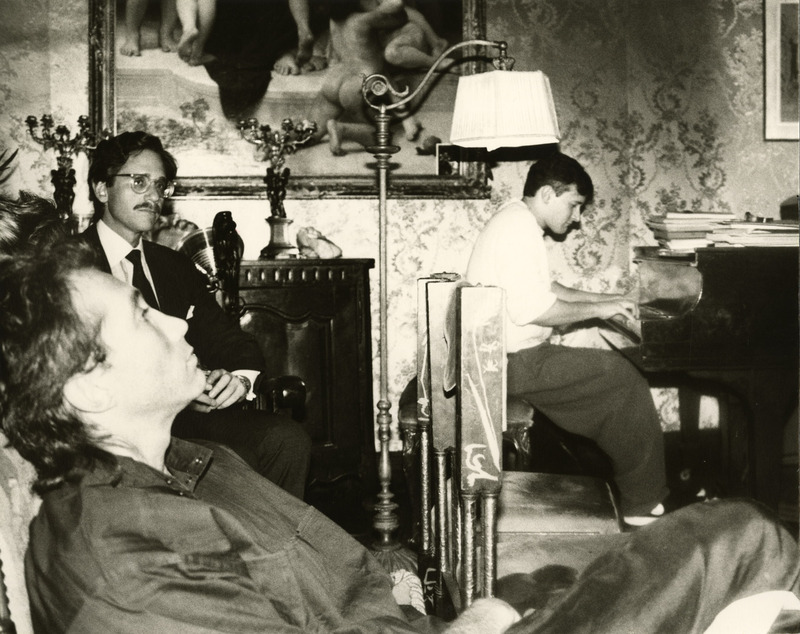 O’riley often played music for Andy Warhol, Ford models, art collectors, and experts in the apartment. Taking these into account, through careful observation viewers might find out that all human figures in the photo can possibly be upper-middle class elite men, sitting in the delicate room with the art nouveau style lamp and Bouguereau-like academic painting on the wall. 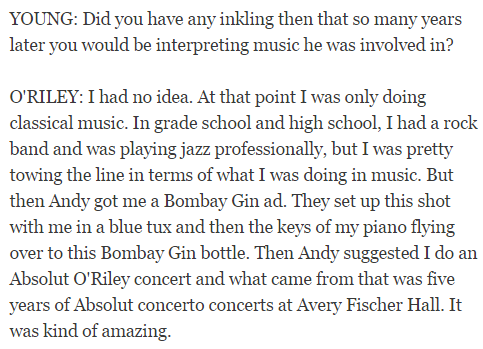 Even more interesting, Christopher O’riley started to host the National Public Radio program From the Top in a way that Andy Warhol suggested- do absolute O’riley’s music. In the show, He started to do groundbreaking transcriptions of the rock band Radiohead with his own interpretations of classical music and new repertoires, and this made him famous for his piano arrangement of rock music.